Funeral services for Beverly Jeanine Martin will be held on Monday, April 1, 2019, at 11:00 a.m. at Oak Forest Baptist Church with Reverends Tommy Crosby, Gregory Blackwell, and Joe Call officiating. Burial will follow in the Oak Forest Cemetery under the direction of Jeane’s Funeral Service of Leesville, LA. A visitation time for the family and friends of Jeanine will be held from 4:00 p.m. to 8:00 p.m. on Sunday, March 31st and again on Monday from 9:00 a.m. until the time of service. Jeanine was born on July 14, 1961, to Willie Ray and Vergie Lee Martin. She passed away in St. Louis, Missouri on Thursday, March 28, 2019, at the age of 57 years, 8 months, and 14 days. 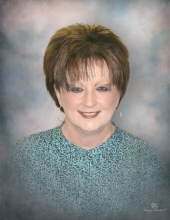 Jeanine was a Vernon Parish resident for 57 years and was a 1979 graduate of Leesville High School. She worked as a Radiology Coder in Alexandria, LA for fourteen years. In 2018, Jeanine moved to Missouri to be with her daughter due to her health. She was a longtime fan of football and softball. Jeanine loved her New Orleans Saints and LSU Tigers and became a recent fan of the Kansan City Chiefs. Her favorite hobby was shopping, and she enjoyed spending time with her family and friends. Jeanine was a loving mother, amazing Nana, and a Christian lady who loved to sing and play the piano. Preceding Jeanine in death were her parents; brother, Doyal Martin; and sister, Joy Baker. a host of nieces and nephews and her SPECIAL best friend, MeeMee. Jeanine will be deeply missed by her family and friends. Words of comfort and remembrances of her may be left at www.jeanesfs.com. To send flowers or a remembrance gift to the family of Beverly Jeanine Martin, please visit our Tribute Store. "Email Address" would like to share the life celebration of Beverly Jeanine Martin. Click on the "link" to go to share a favorite memory or leave a condolence message for the family.